Make the most out of your storage space with the MTN BOX® divider system. 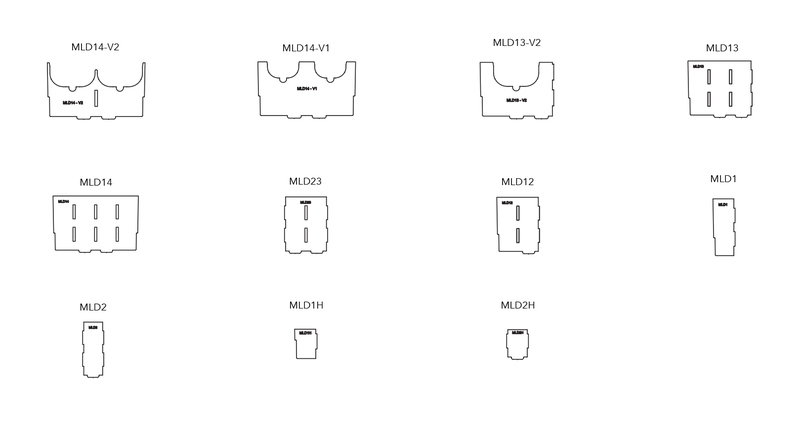 Our MTN BOX®: Spektrum Series SM inserts are divided into 2 categories, long inserts (MLD) and short inserts (MSD). Each individual insert is able to be assembled and combined with others to create a custom “grid” which fits snug into integrated channels in the MTN BOX®: Spektrum Series SM’s inside walls. Our inserts are durable enough to create strong partitions for your gear, but can also be replaced and re-fitted if needed. 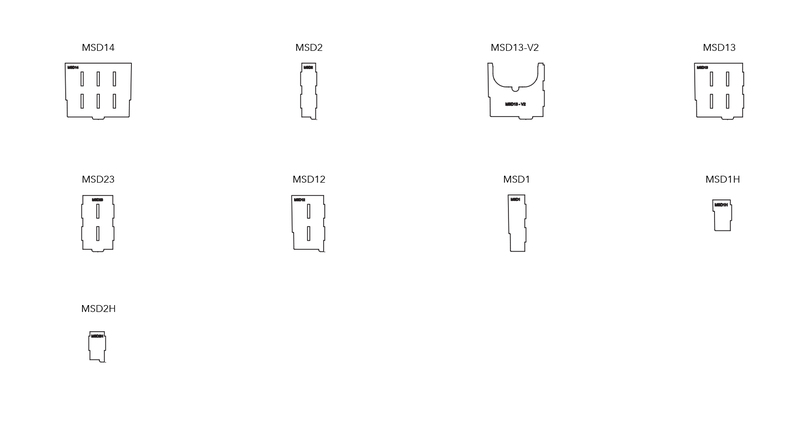 Long inserts (MLD) fit the length of the MTN BOX®: Spektrum Series SM as seen in the diagram above. We have designed inserts specifically cut to fit CM Lodestars chain hoists. Along with our chain hoist inserts, we offer a wide variety of straight cut dividers that can partition your case into several storage compartments to accommodate tools, gear, fall protection, and anything you can imagine. Get creative! Short inserts (MSD) fit from the lid hinges to the front face of the MTN BOX®: Spektrum Series SM. Inserts labeled H (Half) are half of the height of the original inserts. This adds another level of versatility to accommodate equipment of all shapes and sizes. By combining our small and long inserts, our users can create custom “grids” to store a limitless variety of equipment.